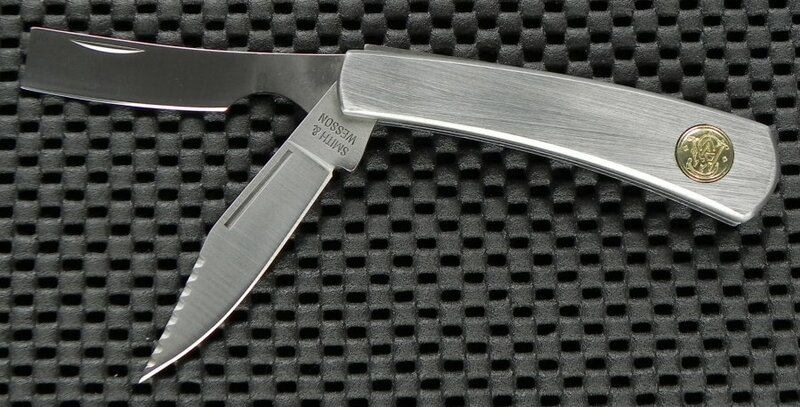 S&W Razor Folder. 3 1/4" closed. Stainless clip and razor blades. Brushed stainless handles with gold tone inlay shield.